These covers get the extra attention needed to make them lightweight and great looking. A head-turning addition for both street and race bikes! 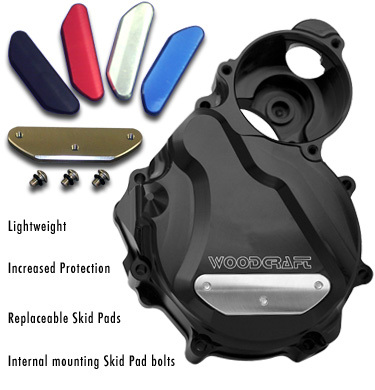 Any cover can be ordered with any skidpad, meaning you can customize the cover to suit your bike. Black covers with red pads? Aluminum with black? Be creative and make your bike an original!